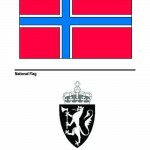 This handbook provides essential information on Norway, including a quick reference and a country profile featuring sections on the military, geography, culture, language, history, government, economy, communications, and transportation. It is intended for use by military personnel providing assistance and training to Norway. By making the handbook unclassified and in a cargo-pocket size format, it will fulfill the need for a “field” ready-reference publication. Mirror of Utøya gunman Anders Behring Breivik’s Facebook page and photo gallery, provided because profiles on social networking sites are often removed after their owners engage in high profile criminal/terrorist activities. Norway boasts an active online community with high Internet penetration rates in comparison to the rest of Europe. In addition, access rates are high and spread fairly evenly across demographic groups, age ranges and locations. A range of social media activities are popular, including blogging and content sharing, however social networking is the most prominent activity, with Norwegian Facebook users now exceeding 2 million. A large number of Norwegian companies have an active social media presence with Facebook and Twitter the platforms of choice. Whilst, usage is high, few companies at present measure or evaluate social media and there is a reluctance to divert resources for this purpose. Social media is emerging as a defining behavior of Internet usage in Norway, and the government has been keen to harness social media as a potential engagement and consultation tool. The government is also in the process of designing an innovative electronic voting system to increase voter turnout, which is hoped to be trialled in 2011. The government clearly appreciates the value of a digitally inclusive society and has set an ambitious target of supplying broadband connectivity to the entire country. In order to aid digital inclusivity the Government also ensures the text on public websites is suitable for older and weak sighted people. In keeping with most of Norwegian society, politicians, journalists and NGOs are all increasingly using social media as a communications tool.